We can help you enjoy more time outdoors on your patio – with smart ways to create shade when it’s hot. The Pergola is specifically designed to provide shade. 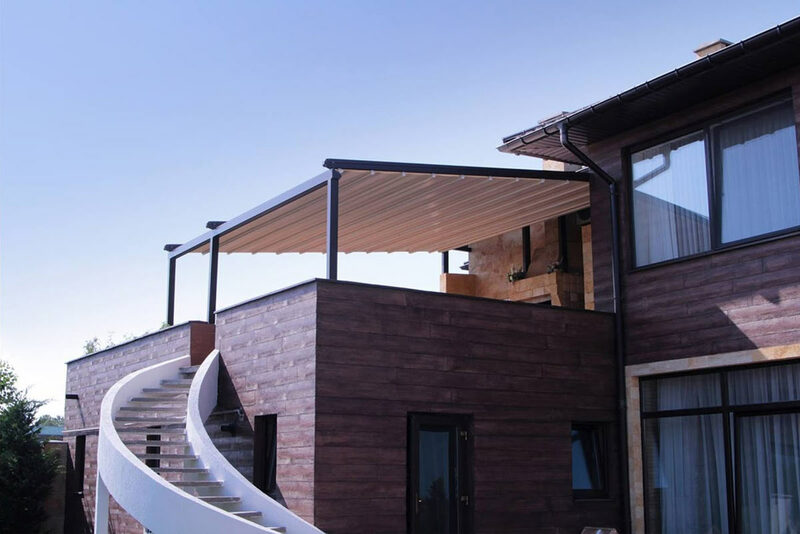 This outdoor shading is made with aluminium and combines the charm of pergolas with modern style and functionality. 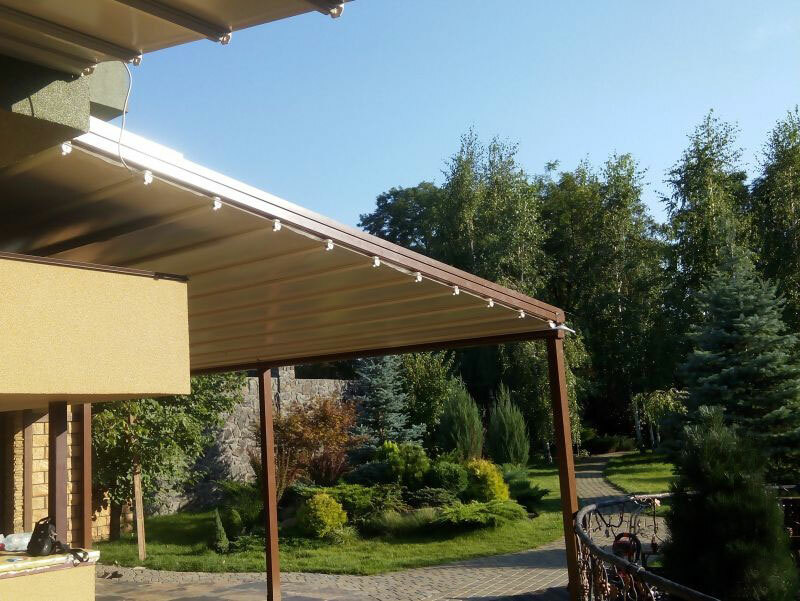 The Alto Pergola system can be modified by customer request. We provide pergola installation through Toronto and GTA. Pergola’s systems ALTO are motorized modular structures that extend your outdoor living space and protects you from sun and rain. The pergolas contain: load-bearing structures, made of powder-painted aluminum and steel, and a sliding awning. 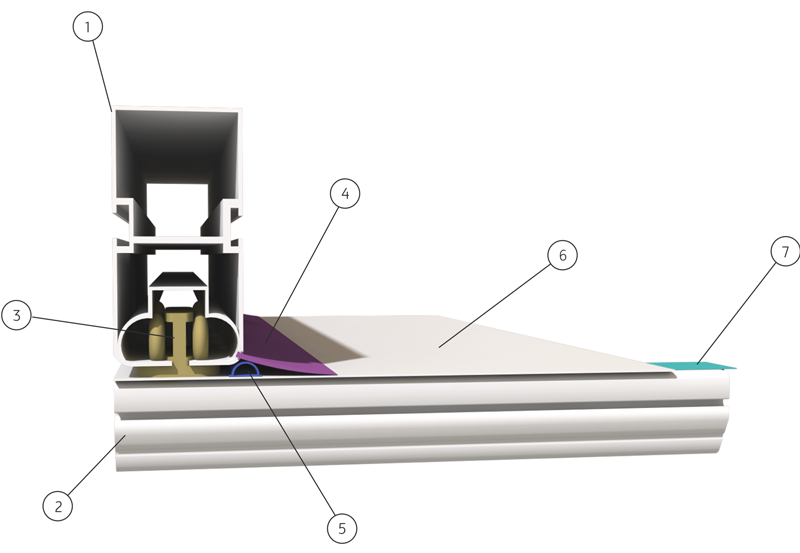 The ALTO systems can be used as an extension to the house or a stand-alone structure. The pergola’s roof made of reinforced PVC canvas, covered with heat blocking layer, which keeps your cool and protected from solar heat. The maximum width of the structure is up to 39 feet / 12 m, the outreach is up to 26 feet / 8 m, and this area (1033 sq, ft. / 96 m sq.) 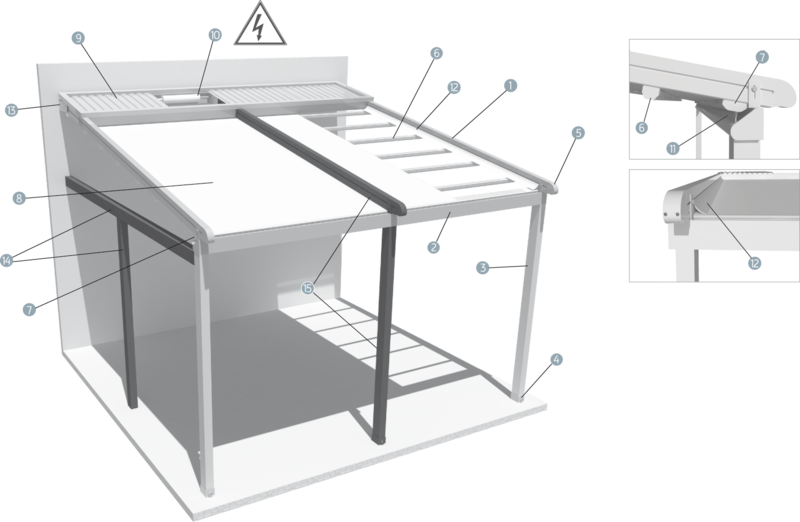 The pergola top closed by a single continuous cloth. 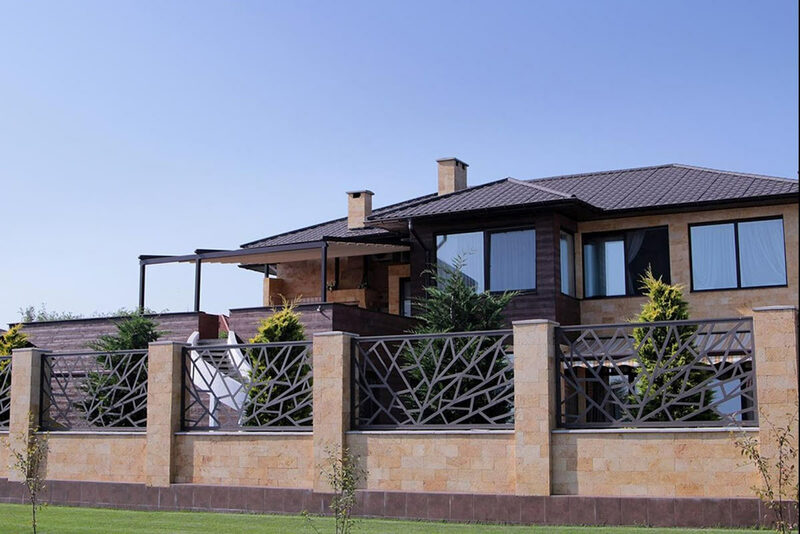 The main parts of pergola system are made of aluminum and powder painted. 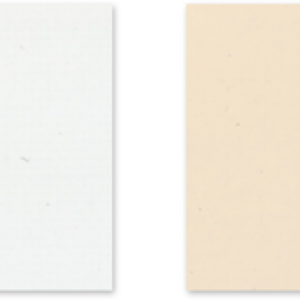 You can choose different color from the RAL catalogue. 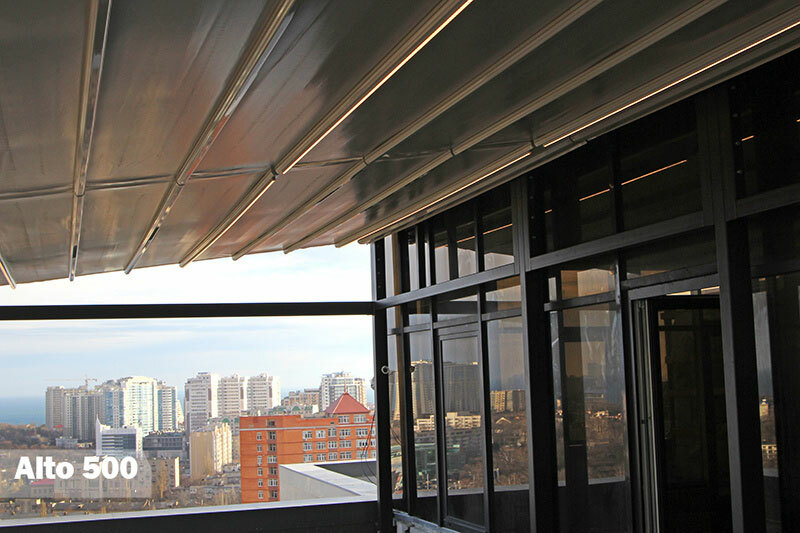 ALTO Pergola systems utilize a special three-layer SERGE FERRARI® PRECONTRAINT® PVC material. Each pergola is equipped with a built-in gutter in supporting post. 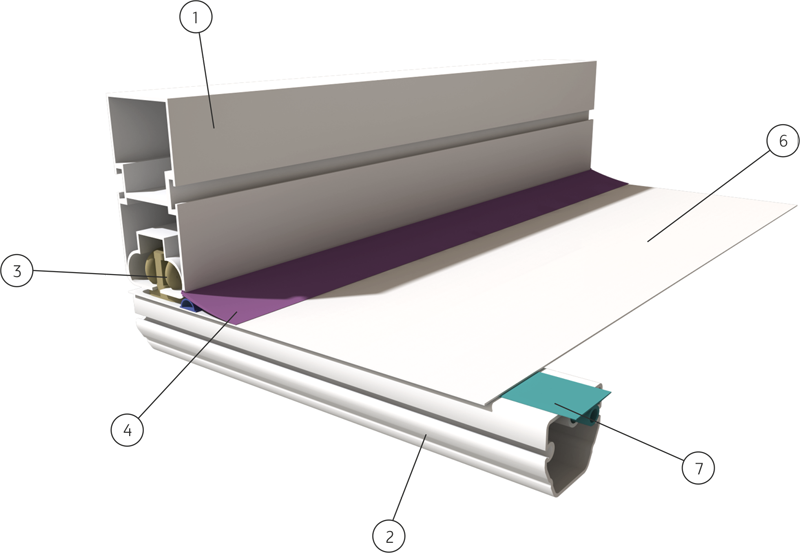 In ALTO pergola’s systems, all-weather track seals are used to prevent side transfusion (4). The cable channel (5) is used for LED light, and it can be used as an additional seal. 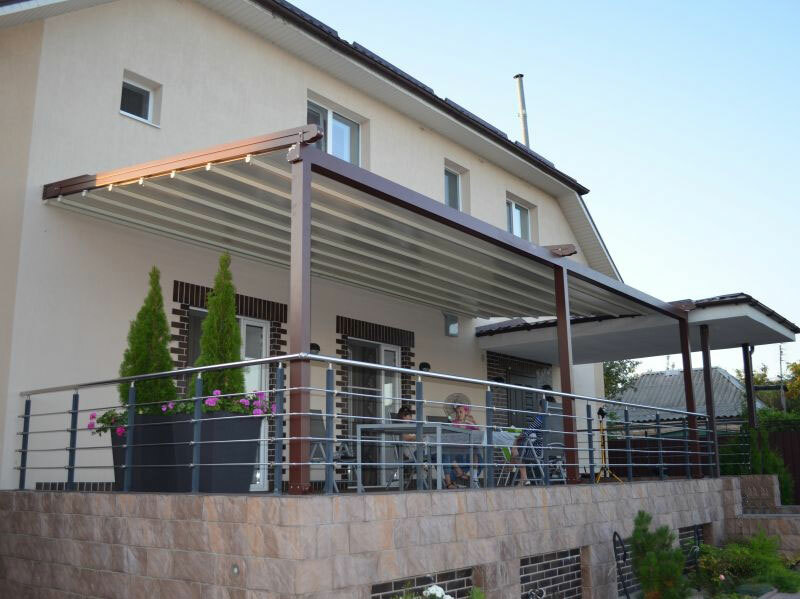 Two types of systems Choose from two pergola systems – Alto 500 and Alto 800. Excellent design and diverse technical capabilities will allow you to find the most suitable option. 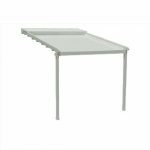 Stylish design Two different system designs, two colors of PVC Serge Serge Ferrari®, the choice of the color of the supporting structure from the RAL catalog without additional payment. Non-standard mounting solutions Modular pergola structure solves different tasks for shading and expanding the useful space. Robust windproof design Specialized materials of the supporting structure and PVC cover are designed to stand wind and rain. 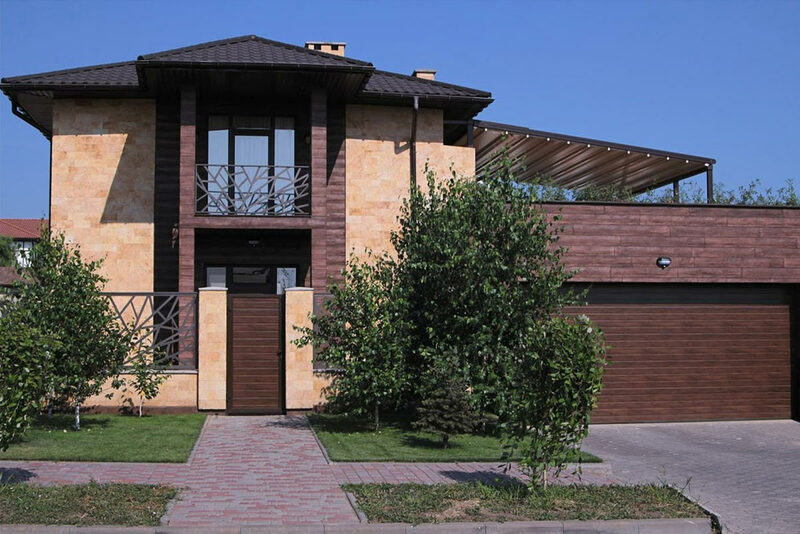 Protection from sun and rain Three-layer PVC Serge Ferrari® Blackout waterproof solid sheet provides 100% protection from rain and overheating. 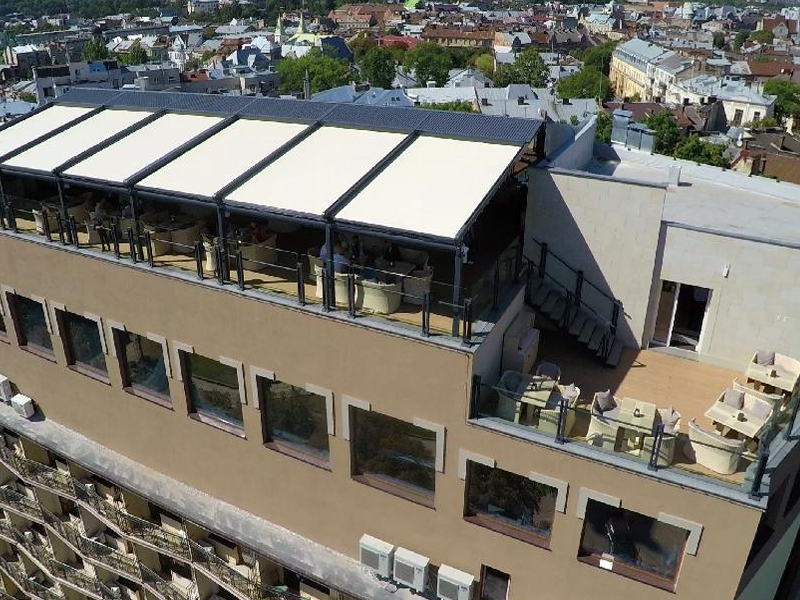 Full closure If necessary, complete coverage along the perimeter by vertical awnings (Reflecsol) and lateral triangles. Additional options Side triangles, decorative fabric and LED lighting, premium performance of custom components with the ALTO-800 model. Automated control The systems are equipped with SOMFY® engines and motorized elements. We deliver and install Patio Pergolas over Toronto an GTA.